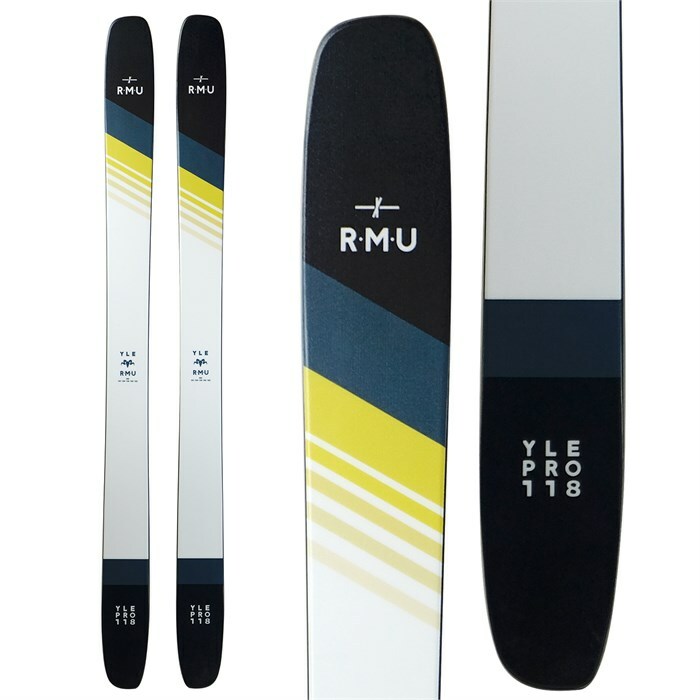 As unique, versatile, hard charging and playful as its namesake, the RMU YLE Pro Skis take their design queues from fish surfboards. Featuring a stable yet floaty, surf-inspired construction, with hints of bio-mimicry from tiger sharks on the topsheet, RMU has created an asymmetric deep snow weapon that retains a stable symmetric radius underfoot. Powder Rocker  Long, low-rise elliptical tip rocker with classic camber underfoot. Blended Progressive Golden Radius  Using the Golden Ratio and the Fibonacci sequence, the YLE 118 blends multiple radii to create a progressive radius averaging 25m. The Golden Ratio highlights how natural elements grow and relate to one another, which fits YLE's personality and skiing style - every element connected and integrated. Okulen 7150-C  The best from German producer OKULEN. Graphite-sintered race base which is fast and stiff.